Hello, everyone! First thing first, I'd like to #prayforMH370. I sincerely hope that the plane will be found soon and return all the passengers, pilots and flight attendants safely. 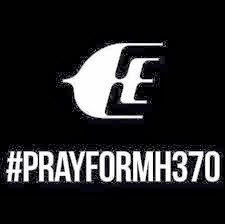 We all Malaysian are praying hard that no harm came towards these innocent people. Anyway, it's been a long today as I just returned from lecture halls after spending the whole day attending lectures. Today a friend of mine asked if I really have a trick to remove make-up quickly on busy days like today, so I figured let me test the cleansing tissue sample that I got the last time I went shopping in Etude House The Spring mall in Kuching, Sarawak. Cleansing tissues formulated with baking powder and cleansing oil to exfoliate skin and cleanse pores to remove facial (make-up) residues for a thorough cleanse. Ingredients: Water, Butylene Glycol, Isopropyl Myristate, Glycerine, Cetyl Ethylhexanoate, Sodium Bicarbonate, Polysorbate 80, PEG 40, Hydrogenated Castor Oil, Phenoxythenol, Methylparaben, carbomer, Disodium EDTA, Allantoin, Propylparaben, Camellia Oleifera Leaf Extract, Vitis Vinifera (Grape) Seed Oil. Vol. : 22g (5 sheets) - Samples. Use within 12 months, once pulled out use right away. Can you notice? On the right is after swiped using the cleansing tissue with 2 swipes. Totally clean. One thing that I don't like about this product is the scent. It basically smells like Korean ginseng (especially like the I Need You Mask Sheet: Ginseng (Purifying). Final verdict: 4/5. I do like this product, but this one too contains parabens. So no, I guess I won't be purchasing this. As some of you may know, I have tried its sister products, and fully reviewed them so do check them out from the review list. Do share of you guys ever tried a good cleansing tissue because I'm looking for one right now. Thanks! Remember to join my giveaway, okay! it's open internationally! :D just click on the image below! Thanks so much for your support!